Picture – A boy running toward a better tomorrow holding our national flag. Neurologically it is an image in motion which usually get attention by the mind, also our subject is running toward our core message which will again catch the attention of the user.Used #UppSkill as an adjective to insert brand name into the mind of the audience and used emotional trigger in copywriting. Now, this post has a grammatical mistake which was intentional since it was not a major mistake and helps us to set up the tone of the message. Picture – A hand is full of color Message – In India, we all say that “Your hand can tell you about luck”. 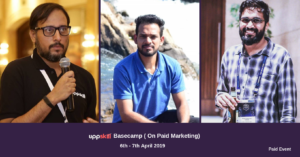 It is a local saying, we used that context and color from Holi and then define it in our copywriting and encourage people to learn skills because it can change their life, intact the brand message within the context of the festival. Message – We intentionally did not give use face to this lady, we want our end user to think about their own mother, this is the visual cue we wanted to give to get an image out of the subconscious mind of the user. 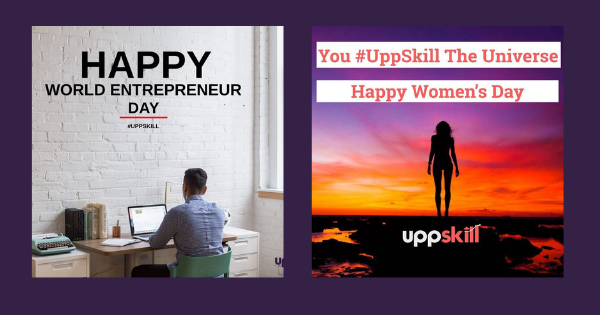 Again we use #UppSkill a brand hashtag as a special word in both image copy and copywriting. The interesting placement is the logo, here we give respect to all the mothers. Message – The moon has relevancy with Eid, and the message is that your skill can help you touch the sky is symbolic message where we are trying to say, your skills can empower you and ask for knowledge and skill as an eidi, now eidi is given by elders the message translated to take the knowledge from your elders and seek wisdom from them to improve yourself from their experience. Message – We used #UppSkill as a special word here, and drive an emotional trigger to empower our country by empowering ourselves. The 7 hands and Ashok chakra which have 24 dials shows that 24X7 we will empower our country by empowering ourselves. 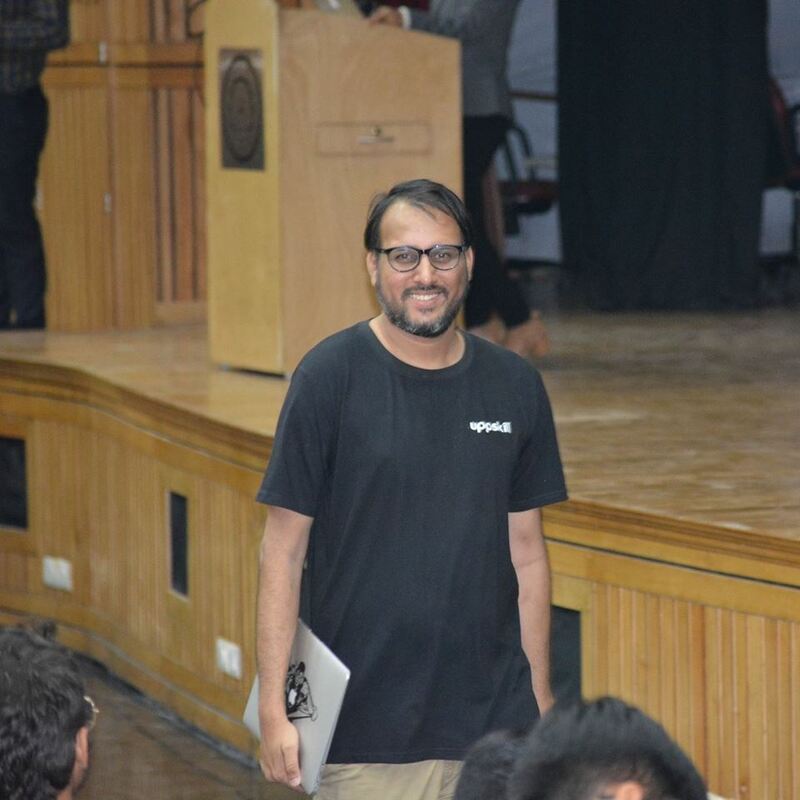 Message – we were telling a generic story of an entrepreneur whom effort people don’t recognize usually but they are changing the world day by day working silently. Message – We are conveying a message by quoting him and sketching a parallel toward our vision. Message – The quote is taken from Upnishad and it is half shlok which is related to our brand perspective it means “From ignorance, lead me to truth; From darkness, lead me to light;”. This creates a positive brand image and tell people our intention toward learning. Message – we used a kids innocence and our mission objective to convey a message. Hopefully This blog post will give you some idea how you can convey a message intact with your brand identity.